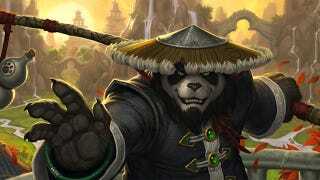 In addition to new zones and dungeons, Mists of Pandaria adds the playable pandaren race and monk class to Blizzard's massively multiplayer online RPG. It also raises the level cap to 90 and adds some new challenge modes, prestige rewards, and a Pokemon-inspired pet battle system. Diablo III Banner Sigil and Accent: Display your status as a hero of Pandaria with the iconic markings of World of Warcraft's newest playable race, the pandaren. Collector's Edition Soundtrack CD: Experience 20 orchestral pieces from Mists of Pandaria. And pandas. Lots and lots of pandas.